Windjammer Fun Center – Danville, Kentucky | Windjammer Fun Center in Danville, KY provides endless fun for kids of all ages! We offer a large skating rink, arcade games, laser tag, birthday parties and more! Birthday Parties, Roller Skating, Arcade & Ticket Redemption, Laser Tag and More! Our Birthday Party Packages make it easy to plan your child's birthday celebration! Welcome To Windjammer Fun Center! 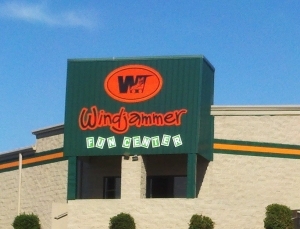 If you’re looking for hours of endless fun, set your destination to Windjammer Fun Center in Danville, Kentucky. Windjammer Fun Center offers games, activities and excitement for the whole family. Our large roller rink features dance lighting and DJ’s that play the latest hits! Visit our Laser Blast Laser Tag arena and blast your way to victory! Windjammer Fun Center also offers arcade games, kiddie rides and inflatables. Birthday Parties are the best at Windjammer Fun Center! We offer a wide variety of birthday party packages to suit your needs and your budget.